3. 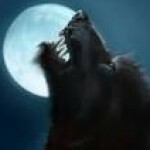 An article about life as a werewolf. Up to three winning pieces will be featured on the front page of YourLupineLife and the writers will receive a thank-you gift card number from the iTunes store along with a chance to be published in an upcoming YourLupineLife downloadable e-book. 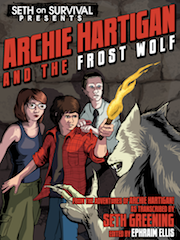 The hope is that your writing will add to the knowledge and experiences already described here on the site with stories and information about life as – or with – a lycanthrope. Up to two other judges will be selected and announced as soon as possible. 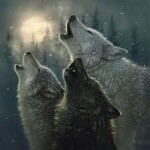 Judges will be instructed to select writing with feeling that is entertaining or inspiring or suspenseful and of course educational for werewolves like us. Many great entries have already come in but there’s still time, so please email your writing to admin@yourlupinelife.com by April 30, 2014. Thanks for sharing your lupine life. S They say there’s no such things as monsters. That they are simply myth, well I used to think the same way. That is until I met a kid named Derek. My life was normal, I did my homework, did chores, obeyed what I was told. Since that day I have never been the same. Let me explain, my name is Henry, I take up residence in Yauco Puerto Rico. Everyday the same, monotonous in it’s events. At the time I was 13 I started middle school and was never one to hang around people. I would sit alone in the library in a hidden section that no one ever went to, I spent my time reading and pondering philosophy. Everyday the same I would go in, stay and leave the library, no one else. Until one day, I found a kid I didn’t know, he was reading a bunch of books that were dusty and mostly decayed. I asked him why he was in here, he answered, why are YOU in here. I simply tell him I am usually there, well over time I came to know his name and about his life, he never had it easy, he was born with a deformity, his temper was wild, every time he got angry I saw him become almost animal like, he would growl and bite. Well anyway I still thought he was alright, one night I slept over at his house and I noticed an armoured cellar I asked what’s in there. Derek simply said don’t go in there, I wondered why but shrugged off the curiosity, we went to sleep and as I usually do I wake up in the middle night to go to the bathroom. When I came back I noticed he wasn’t in bed, so I looked for him. I searched the entire house but didn’t find him, so I thought he could be hiding in the cellar. I entered and found him naked and surprised I asked why he was naked in a cellar, he simply yelled at me to get out. We spent a few minutes yelling at each other until be started wailing in pain. And what I saw next would haunt me the rest of my days, he became hairy, long snouted and began looking like a giant dog. He lunged at me, I struggled with him for a few seconds and ended up somehow overpowering him, I ran out and closed the cellar, but I noticed a sharp pain on my shoulder, Derek took a bite out of me, I had called the police saying that there was a giant dog in the house, the hour was dawn and all the found in the cellar was drops of my blood and a note saying goodbye, I never saw Derek again, that night will stain my memory the rest of my days and would end me involving myself with the world of the occult, that is my story. Now in retrospect I did not know why I didn’t turn back then. But all I know is I lost my only friend. Living the life lycanthropic. werewolves can control themselves, he wouldn’t need to lock himself up. It was probably his first, or I startled him perhaps, would explain why he simply left. There could be many things behind it that I didn’t know at the time. To know I would have to ask him and I have tried to find him but he simply disappeared and I never saw him again. Few weeks later I was having a great day when one of the popular girls said ” look it’s wolf girl” she said it loudly and the whole laughed. I got so angry I said ” well at least I eat normal then choke myself on my finger all night in the bathroom” the school howled with laughter the girl shut her locker and walked away. The bell rung and I went to class and was greeted with claps and high fives ” I can’t believe you told off Mackinzie like that” my friends said. ” that was amazing”Jenny said as I got to my seat. meet me at my house at 5 asap. I raced to Monica’s and made it there at exactly 5 as soon as I opened the door with the spare key from under her rug my brother, friends and classmates jumped out ” SUPRISE” they screamed. I was so startled I dropped my purse I picked it up and smiled ” we wanted to throw you a better suprise full moon birthday party ” Jenny explained ” yeah we wanted to make you a do over birthday party” Monica said.” You guys are sweet ” I said give them both a hug they both did all of this so that I can celebrate my birthday over they were the best. We danced and partied hard everything was great until I got really warm, I though maybe it was because I was moving around so much so I got punch and sat down but that didn’t help. My back was starting to throb painfully and my head felt as if it was going to explode. I didn’t have the strength to walk so I asked my brother to drive me home my friends said goodbye as we drove off when I got home my brother took me to his room since it was the closest I collasped on the floor and screamed my brother knelt beside me “what’s wrong?” he said worried ” it hurts , it hurts” was all I can managed to say . I was sweating my brother helped me take off my jacket and shirt ” you’ re burning up” he said and then it happened. My spine stretched under my skin, my nails grew sharp, my teeth were replaced with fangs. I could feel my bones breaking and reshaping my brother stepped back in horror I grabbed out to him “help me, please” I said in a deep animal voice. I heard growling and found out it was coming from me the pain wasn’t like anything I ever felt. My vision blurred and then everything was bathed in red, l blacked out. As a child, I grew up being afraid of monsters. Afraid of what was under my bed, or what was hiding in the corner of my dark room. ” Don’t worry sweetie, monsters are fake. They don’t sleep under your bed, they sleep in your head,” is what my mom would tell me when I would wake up in the middle of the night because I heard growls and scratches. And every time she said that, I believed her more, and more, and more. But that was Until I had found out I was the monster. The whole time. And everything my mother told me, about how fake they are, are just dirty little lies just echoing and banging on my skull every time I transform. Did my parents know about this? Had they known that i was the monster the entire time? The day of my first transformation, they knew exactly what was happing. They locked me in the cellar until the moon rised. I remember being scared of what was happening to me. Being afraid of the thought of my parents keeping me locked in that cellar forever. The same question kept ringing in my head that morning in the cellar. Did they know? Are they the same? When my mom had finally came in with some of my clothes, i started bursting into tears. Not because of what i was, But because i knew they knew I was the monster the whole time. They told me the entire story that day. They said i was supposed to be a miscarriage, but they made a deal with a witch. If the witch brought my tiny infant body back to life, they would give the witch their hearts when they die. (because witches are weird like that ) But their was a little twist to that deal. I would have to be inhuman. A werewolf. When will the winners be announced? It’s been 3 months now. potions may not always work so be careful. and also being a werewolf is not a joke, nor something you should want to be. I’m not a normal werewolf. I’m not bitten and I’m not genetic. Most of you would think that I’m full of myself there is only two types of wolves but there are more than just two there are four. Let me explain there are the main two types genetic and bitten. Then there are spelled wolves and transgenetic. I’m transgenetic. I wasn’t born a werewolf or bitten. But I turn like I were both. My step dad “best dad ever” is a genetic werewolf. He can controle when he transforms. He told be about heveline. 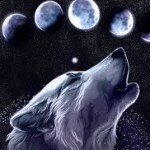 Heveline is the creator of werewolfs. When I learned about her my step dad said “long long ago there was a hunter. And after the years he wished and longed to be a more powerful hunter. One day he asked the gods to make him the most powerful hunter of the land. 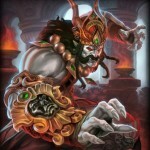 The gods ignored his plead. So he went home. When he got there there was a wolf sitting at his door way. She walked up to him and in his suprise spoke to him. She said ” I heard your prayers to be a hunter and be one with the land” the man was estonished but didn’t want to distroy what he had been wishing for for months on end. He replied “yes are you here to grant me what I have been longing to be?” Heveline said”yes” and closed her eyes. Suddenly the man yelled in pain.. His cloths tore to shreads. He grew thick fur, sharp claws that tour into the ground . He transformed into a cunning beast. Howled and ran into the woods finally at one with the land.” I am like the first werewolf to rome the earth. Heveline granted my pleads and turned me into a full blooded werewolf stronger than a genetic or a bitten. Spelled wolves are the weakest kind. Every night I run into the woods. Feel the strenth of my new form feel the power in my bite. Feel the wind in my fur and the land under my paws. I hear mother earths pleads moans cries and laughter. I protect her as the human race slowly destroys her. Every full moon I run in the mountains to help Mother Earth and to talk to heveline. 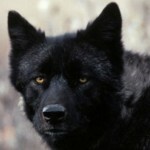 I may be a younger wolf than most but I understand more than any. I’ve seen the bad side of wolves and the good. I am from a different life on earth. Lived when we were treated like dogs and slaves to vampires. Most don’t know. But now we have taken peace with vampires instead of war. I am glad I can run free without worry of capture. 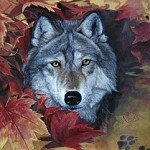 I hope every wolf helps save Mother Earth and father sky before she is destroyed forever…. all werewolves can control themselves. There was one time in 2nd grade where I had gotten to the point where I was trying to stay alone during gym and just dribble a ball. one of the other students who was at the time the height of 6″ 2′, decided to take the ball away from me while I wasnt paying attention. when he turned around immediatly after taking it from me all I felt was a blind rage and pounced (And I swear that It really was a pounce) I ended up biting througth the kids shoulder to draw blood. I was 12 when this happened. I had always wanted to eat a human and wanted to bite people at school. I acted a lot like and animal, I ran on all 4s, I growled and hissed at people, the list goes on. then one day realized I was not a normal human. I had the nicknames “catgirl” and “catwoman” and I have always loved cats. one day I looked at my duck calendar and saw it was a full moon tonight. it was getting dark and I saw the moon. I can’t remember the transformation, but it happened. I turned into a large cat. I have always known lycanthropes could control themselves, and I could. I was a werecat. and my best friend was a werebear. and still to this day. 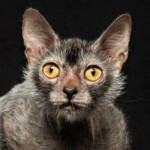 Have you ever heard of the Werewolf Cats? I saw a video of a cat with huge ears, sharp canines, and cravings of raw meat. I think the cat’s brother or sister was worried about him or her. Lol! But anyways, I saw the cat begging for a piece of raw steak. Oh yea, I saw a video of Tom and Jerry, Tom’s Werewolf Transformation… (I think) :shock:. Uh… Anyways, when the transformation ended, Tom was about to attack Jerry, but all of a sudden, a man came and took out some shurkens and started throwing them at Tom. My first memory is standing on a castle wall..the wind howling and the banner waving in the wind. I saw soldier marching back my familys banner waving proudly in the wind with my brother leading the way. I greeted him inside the armory where I knew he would put his sword away. See..I was hidden as achild but as I grew they could no longer hide me. 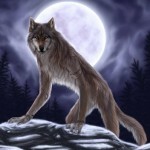 Im a very old wolf but I am still strong. I come from the SilverBlood family who are one of the seven royal families that rose up after the old king. I have fought in many wars and countless battles. I remember the day that I loss my mate and a war that changed the world..The great war which we lost..
A war that has not been forgotten..or forgiven. We will take back that which belongs to us. Like the moons everlasting glory we will rise again. We do not give up what is ours. Yes blood and Ice soon they will know, but remember how we ascend determines whether we are loved or hated. Aye that is true but the in rising up we will inspire both love and hate no matter which way we rise. Before I can rest in paradise This world will know a safe place for our kind where we can be open and free. Humanity will know That we are not myth, and that we are very much alive. They will know the Wrath of the world it has destroyed. We will be the judge jury and executioner in their trial. The story I told you that last time was that I got bitten by a werewolf. 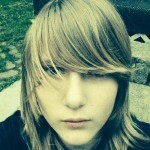 My first transformation was 1 year ago. I was at my friend’s birthday party down in Bitternut, Blvd. We were having so much fun, but then I felt like I was sweating bullets. I went outside cuz it was cold. It didn’t help as much. I felt my head crinkle. My friend, Rebecca came out and asked “What’s wrong?”. I tried to hold the pain back, but it was no good. My back stretched and my friend looked at me in horror. “HELP ME, PLEASE!” I shouted out loud in a deep voice. My friend ran away as soon I tried to grab her. I tried to run to shelter, but I was limping in pain. My ears were pointed, my teeth sharpened, I grew fur, and my face was formed into a snout. Then I blacked out. 2 hours later, I woke up and tried to stand up, but I couldn’t. I howled and then realized I was a werewolf. Well. My story is not such interesting but true by the way I am female ignore Jacob.I didn’t believed in any such things but then I got curious and found when I am angry excited I am pretty agrresive and weird my friends don’t like me as I am sucked up in such things I sometimes behave like Paul in twilight I sometimes feel honestly feel like a wild animal am I one?